FOXBOROUGH, MA. — QB Tom Brady spoke at a charity function on Tues. Sept. 1, appearing at the annual preseason Patriot Premiere where he referenced Deflate-gate, joking, “Yeah, it’s been such an enjoyable off-season.” Source: UPI. 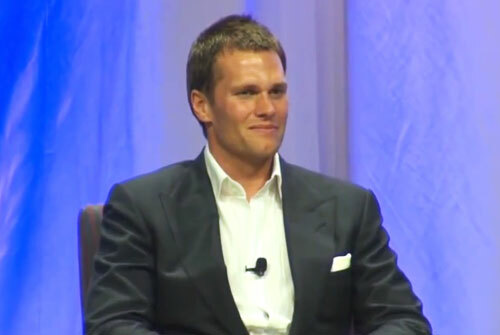 Tom Brady made his first public appearance with Jim Gray on May 7, 2015 at Salem University since the Wells report was released. In the video, Brady speaks about the controversy and how he feels. Brady is now awaiting word from U.S. District Judge Richard M. Berman in New York on the appeal of his four-game suspension. The NFL ruled that he conspired with ball boys in tampering with the football used in New England’s AFC Championship Game win over the Indianapolis Colts in January. The judge is expected to rule this week.